Happy Monday ECO members and fans! 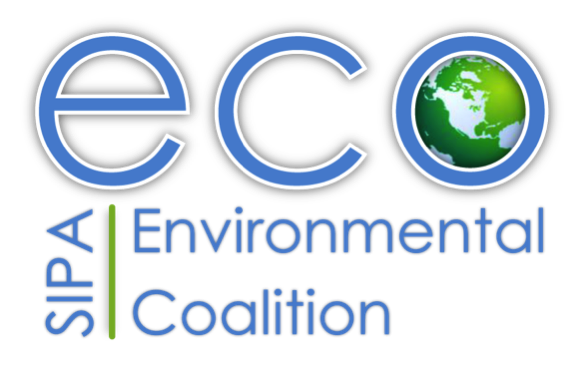 ECO Welcomes the 2014 Board! Have a wonderful winter break and see you in the New Year! * Drop-off hours at all locations are between 8:00 a.m. to 4:00 p.m. only. During this time, Facilities staff will be on hand to help with unloading and recycling. RSVP by December 9 by clicking here. For the first time, the prestigious Hult Prize, a global social enterprise competition, is coming to Columbia University. In 2012 the Hult Prize competition received over 10,000 applications from student groups in over 150 countries. Roughly only 300 of these applications were selected to move on the regional competitions. HultPrize@ Columbia provides a great opportunity for Columbia students to develop and present their innovative ideas with the winner guaranteed a spot in the regional competition. Winners of the regional competitions go on to pitch their enterprise to President Clinton, with the winning team securing $1 million to begin their enterprise. Who is eligible: HultPrize@ Columbia University campus competition is open to all graduate and undergraduate students in any program. What: Students will form teams of four to five students to design a sustainable and scalable social enterprise addressing non-communicable disease in urban slums. Solutions are in the form of social enterprises and need not be health-based. Potential solutions could address access, technology, education, policy, etc. Teams will be given three minutes to pitch their idea to a panel of judges. One winner will be selected to go on to the regional competition of the winning team’s choice. Where/When: The competition will be held December 12th from 6:00 – 8:00pm. Exact location on campus TBD. HultPrize@ Columbia is hosted by SUMA Net Impact, the Net Impact chapter of the Master of Science in Sustainability Management program jointly offered by The Earth Institute and the School of Continuing Education. Click for more information about the HultPrize@ Columbia, the HultPrize and this year’s case. Follow us on Twitter @sumanetimpact. rigid plastic housewares (flower pots, mixing bowls, plastic appliances, etc. Stay tuned for how SIPA is going to better advertise these new rules on our own bins! Are you interested in interning with UNDP, with the Environment and Energy Group? We are looking for someone starting either December or January, and staying from 3 to 6 months. Requisites: currently enrolled in a graduate program; studies in environment and/or sustainable development. Fluency in French and/or Spanish is an asset. If interested, please send your CV to andrea.estrella@undp.org, indicating if you are interested in a part-time or full time internship.